This charming three-bedroom bungalow combines turn of the century charm with lots of modern updates. Main floor features an extra spacious living room and an open concept kitchen. Come see the remodeled kitchen with granite countertops, stainless steel appliances, white cabinets and a subway tile backsplash. Updates include a newliving room bay window,newer living room carpet, & new luxury vinyl plank flooring in the entryway and bathroom. Save on your energy bills with the newer high efficiency furnace,central air, tank-less hot water heater, and ecobee smart thermostat,along with a new fiberglass front door, and new LED light fixtures throughout. This great family home features a fenced in backyard with a shaded deck. 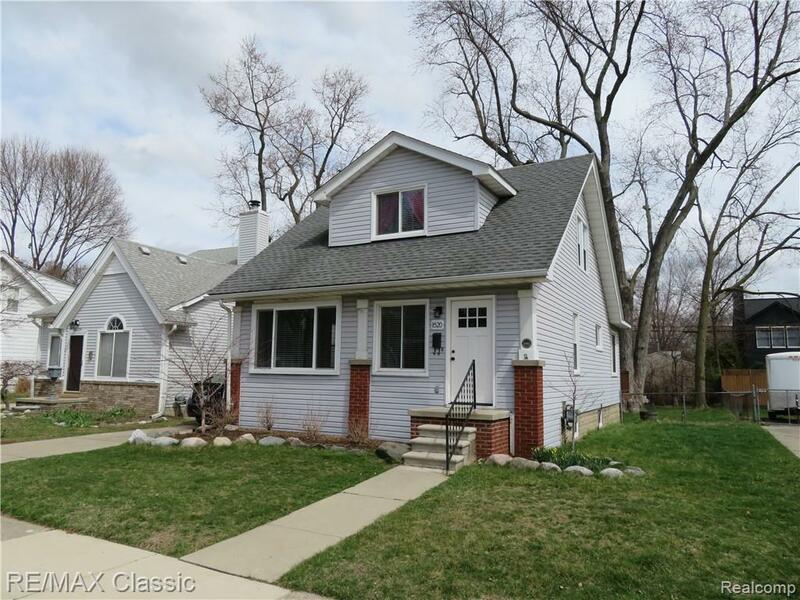 Located in a beautiful neighborhood with a short walk to two parks (Lions Club and Meninger) and highly rated Northwood Elementary (Royal Oak Schools). Also, close to downtown Royal Oak and all itâs amenities. HIGHEST AND BEST DUE BY TUESDAY APRIL 16 AT 12 PM.